We are very proud to have been part of the preparation for the #RoutesEurope conference in Belfast this week. Congratulations to the Belfast International Airport on securing 6 new routes to Europe as a result! 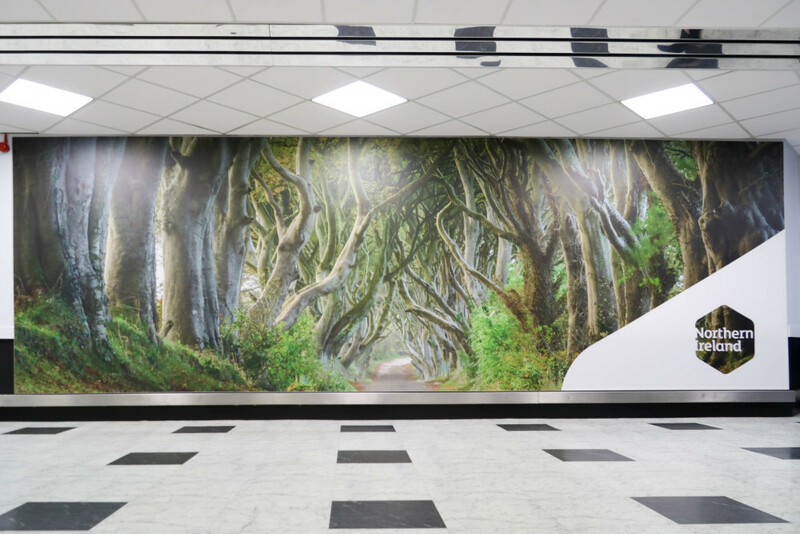 Our brief for this project was to showcase the best of Northern Ireland and provide a warm welcome to the delegates as they arrived at the airport. With this in mind, our design team took the brand and used some of our most loved landmarks to show the delegates what Northern Ireland has to offer. 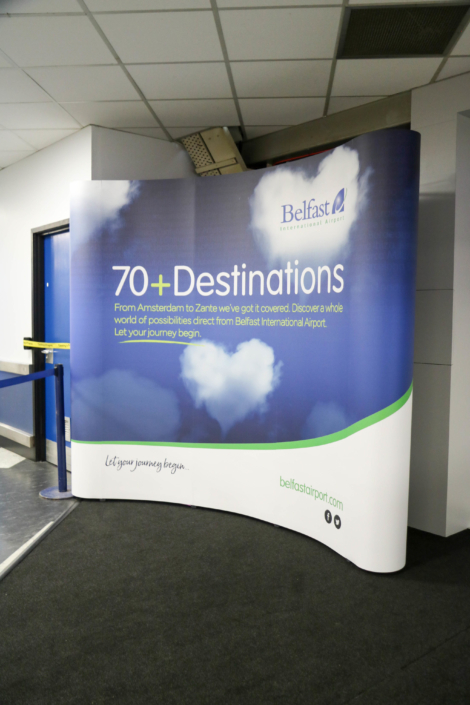 We then produced a range of products for the welcoming area in the airport – exhibition stands, banners, wall graphics, printed flooring, signage and pillar wraps. Our team did a fantastic job bringing everything together from concept to completion. Click through the gallery below to see our favourite parts of this project. We are looking for the right candidate to work on a variety of print finishing equipment. If you are looking to take the next step in your career, please apply immediately. Working on a wide variety of finishing equipment. Previous experience working in a print finishing background. Previous experience working in a fast-paced manufacturing environment. Must have a flexible approach to working hours and shifts. All candidates must be quality conscious.